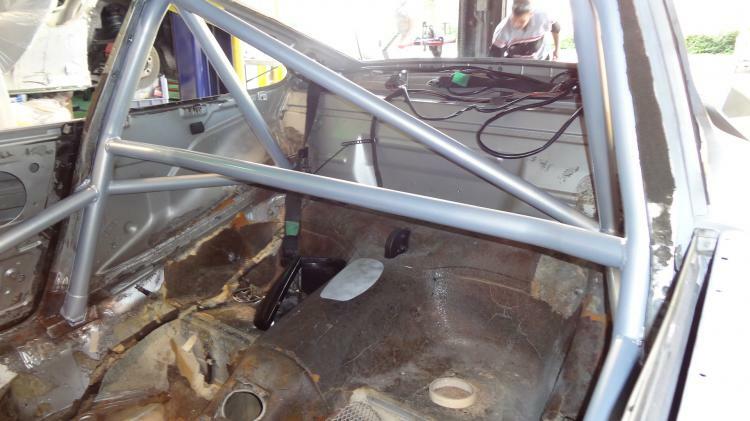 The C4S was first stripped completely of interior to prep for a 6 point weld in roll cage. 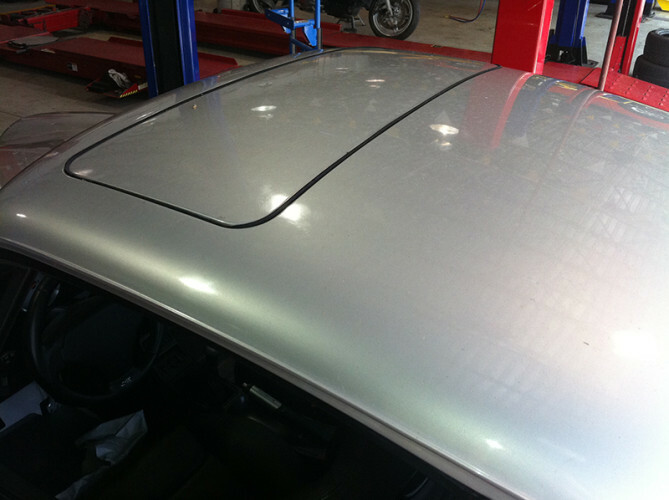 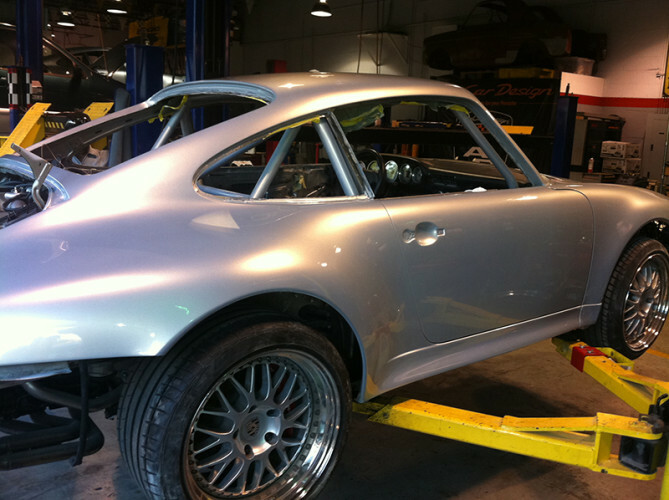 The roof panel was removed as well to allow access for welding and fabrication of the upper roof bars. 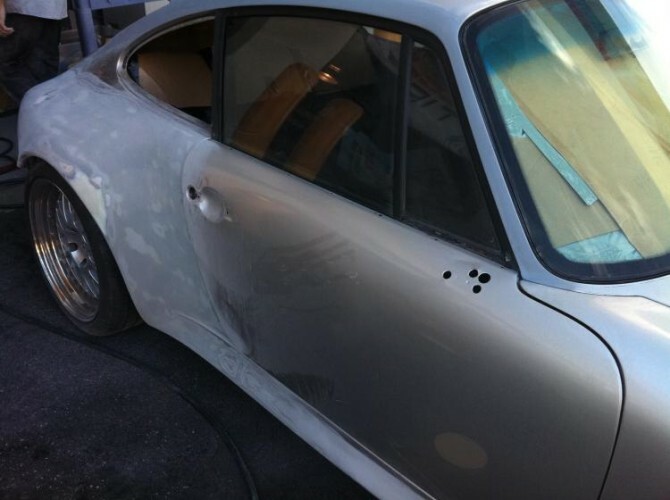 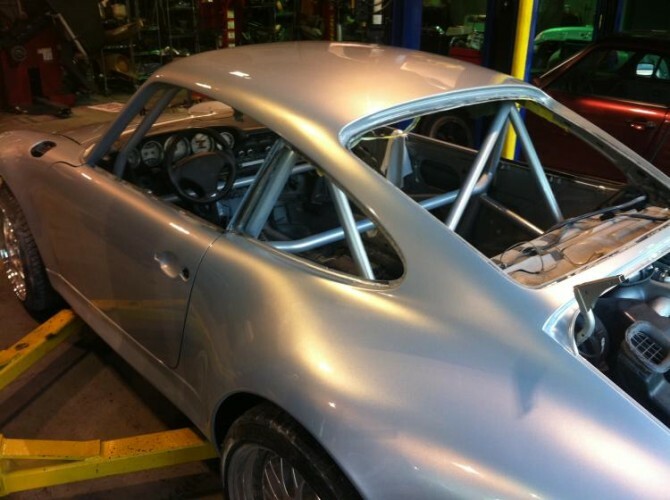 The exterior was then stripped down to bare metal removing all of the paint and bodywork previously done, leaving a bare shell that would be worked on correctly. 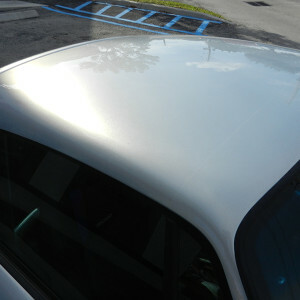 No major body damage was present on the vehicle, only a few small dings and dents that were easily removed. 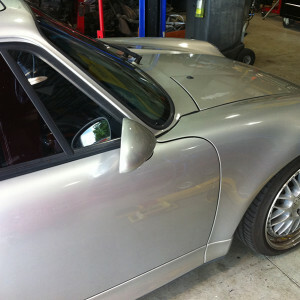 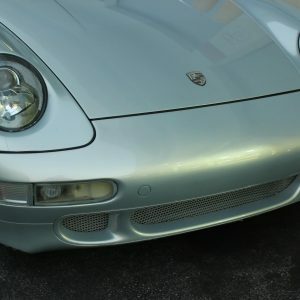 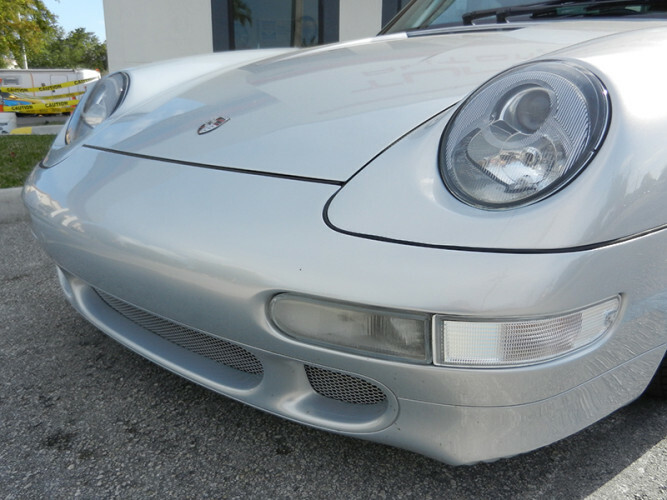 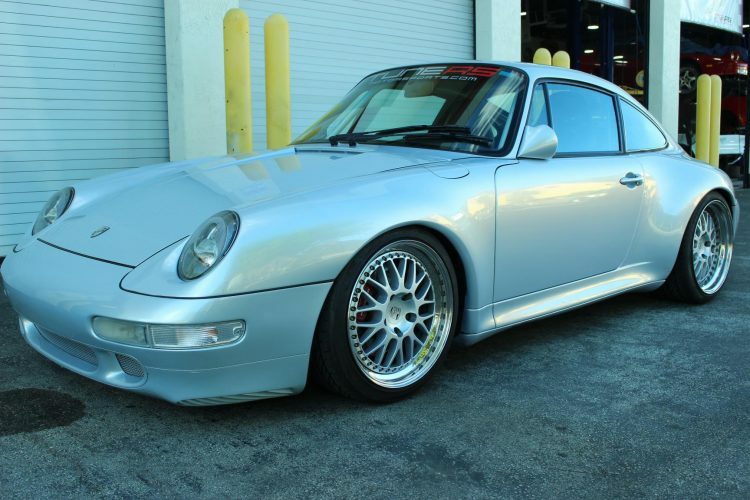 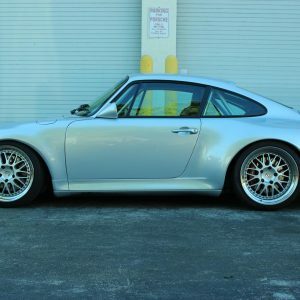 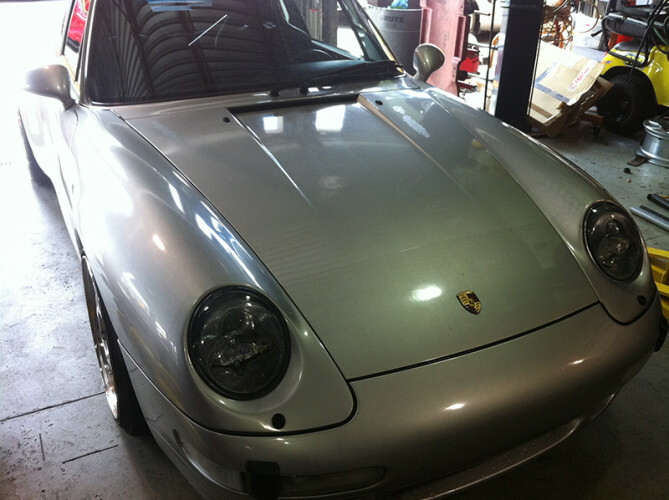 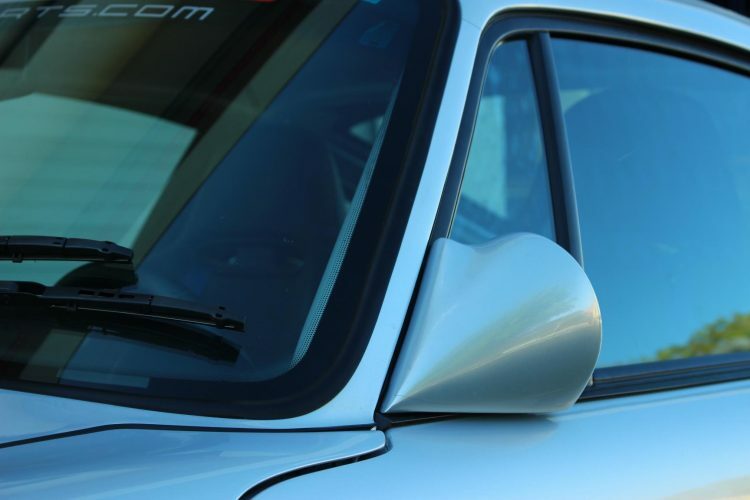 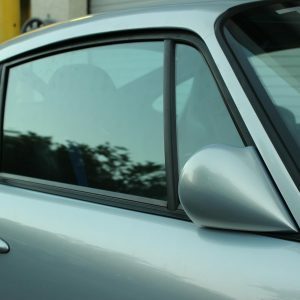 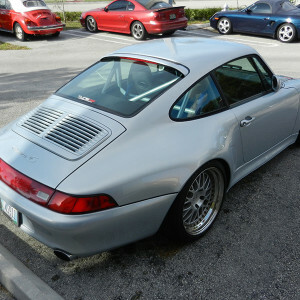 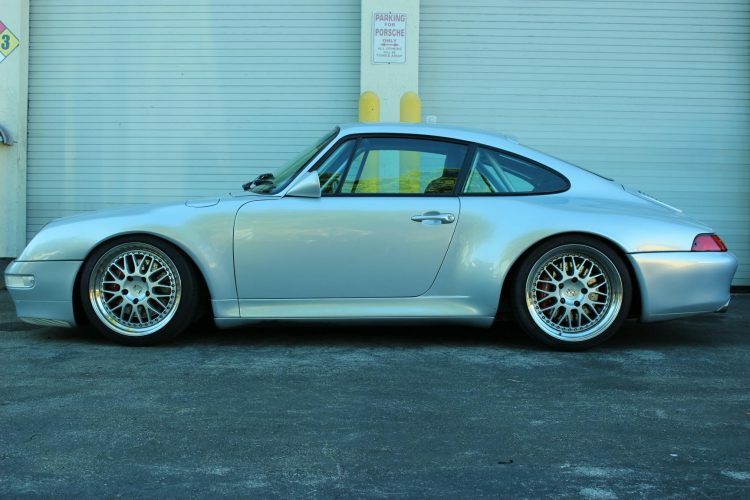 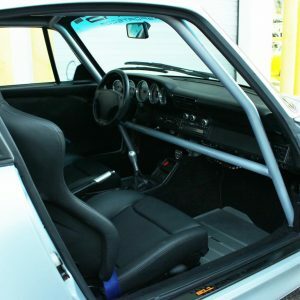 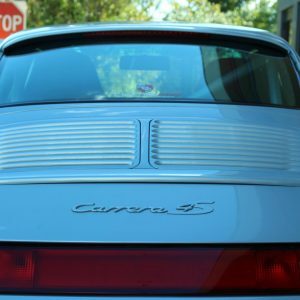 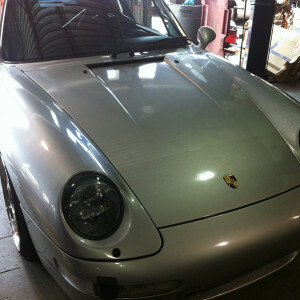 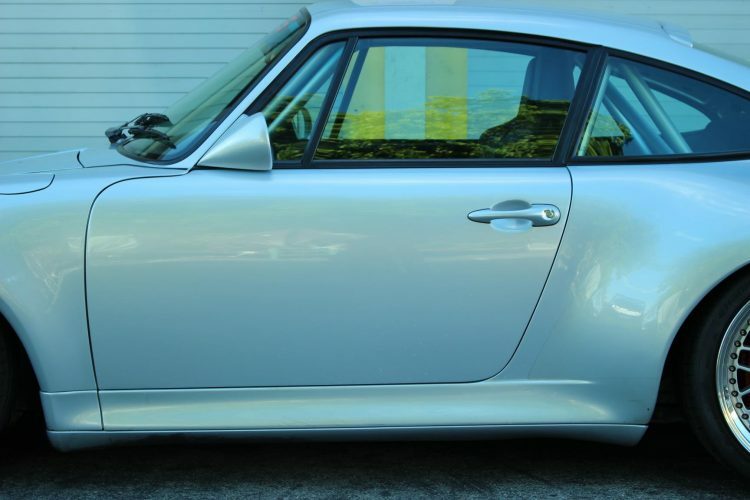 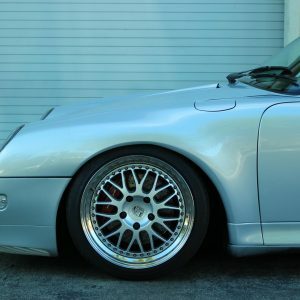 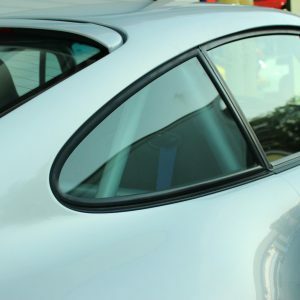 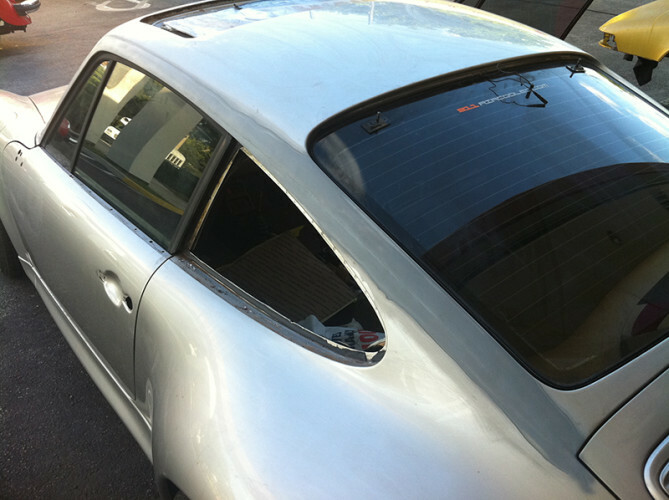 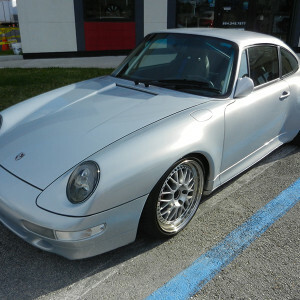 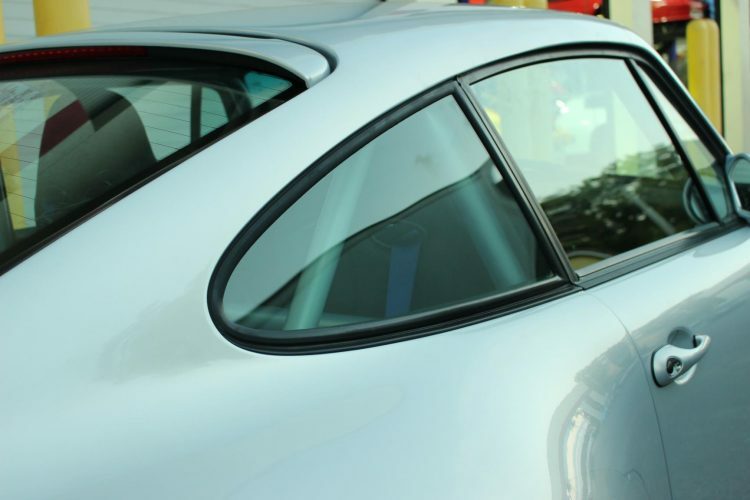 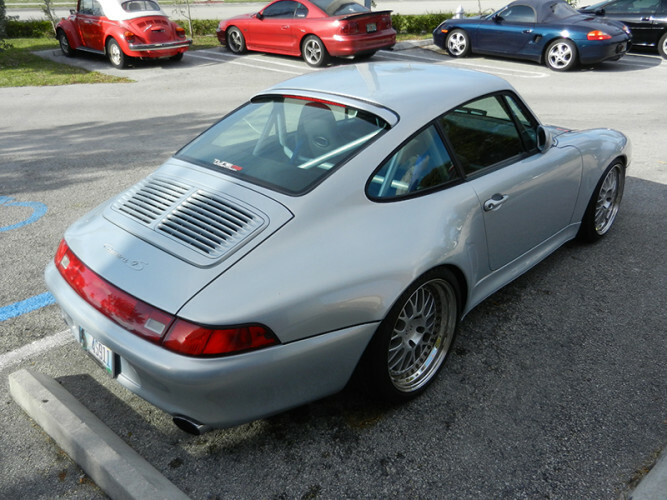 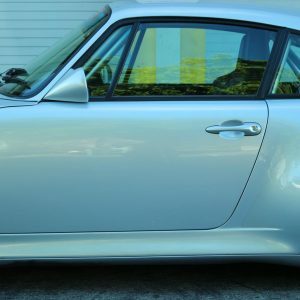 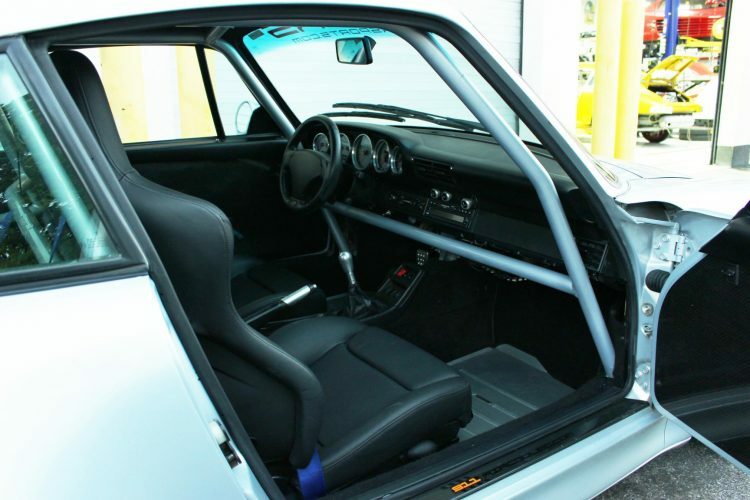 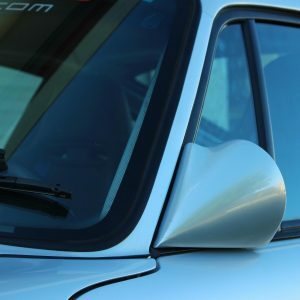 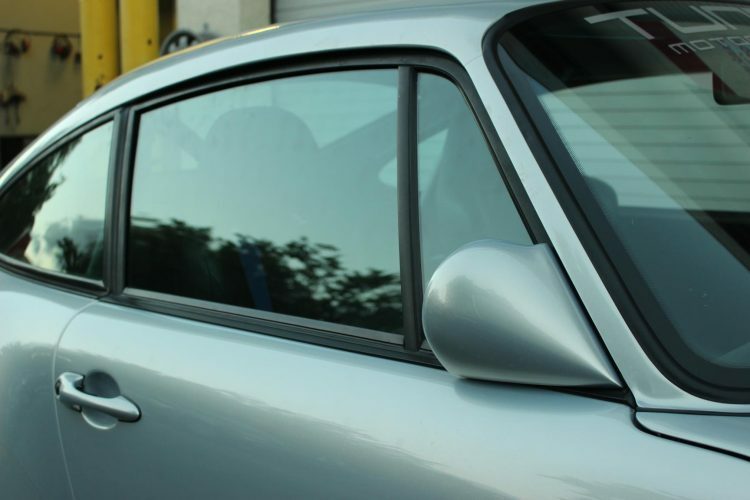 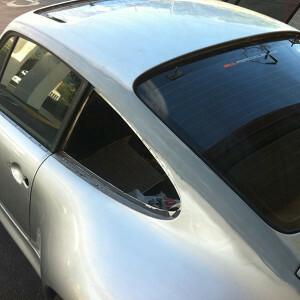 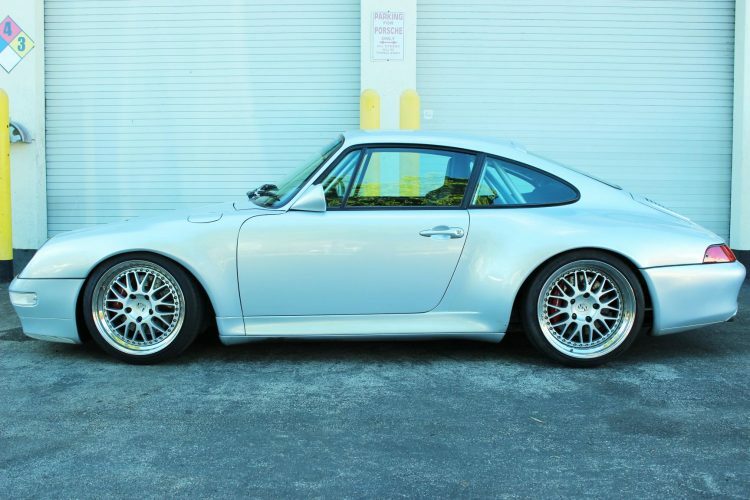 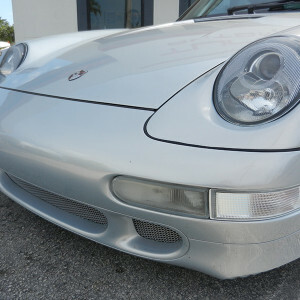 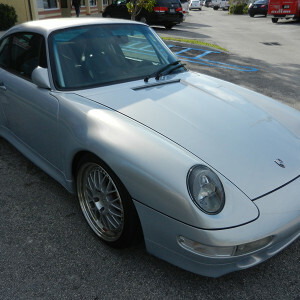 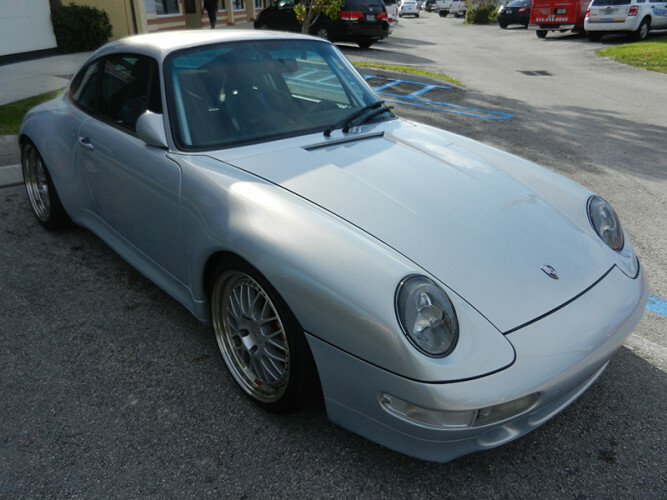 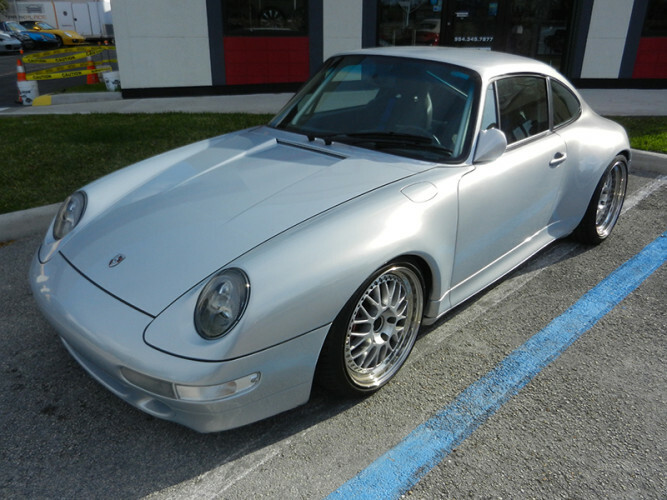 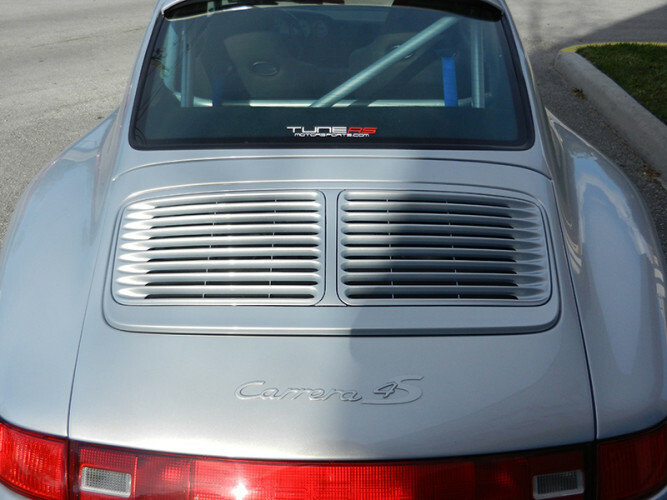 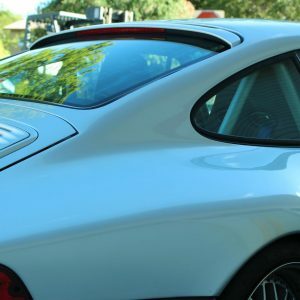 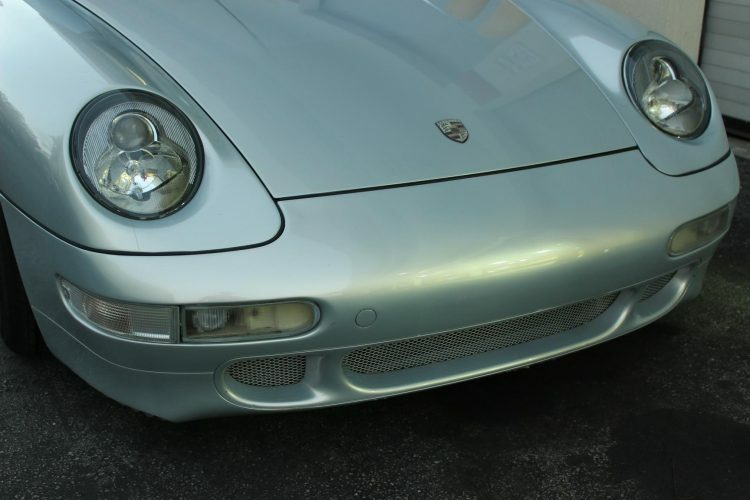 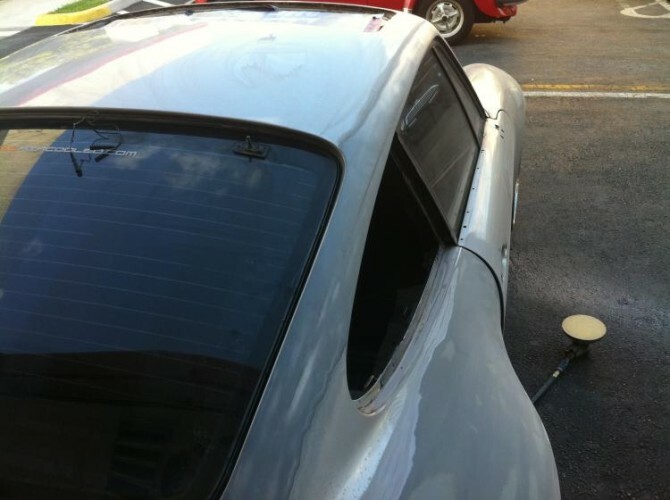 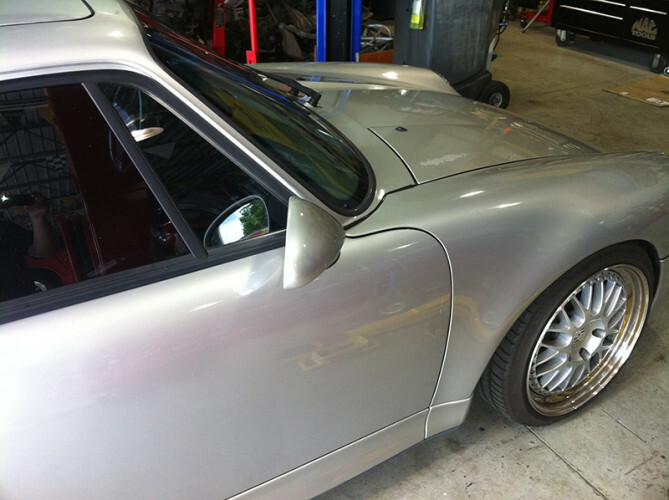 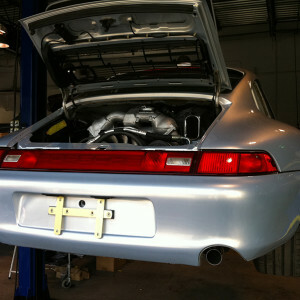 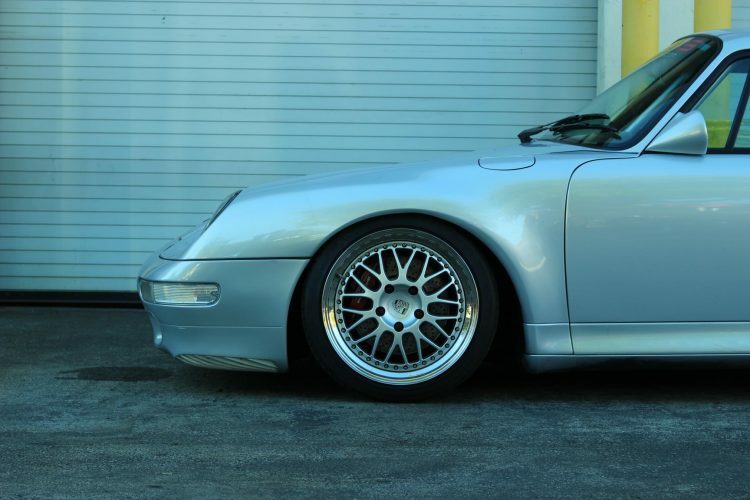 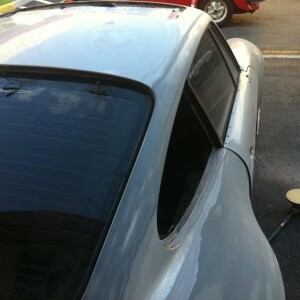 The rain gutters were then removed and smoothed to replicate RUF styling. 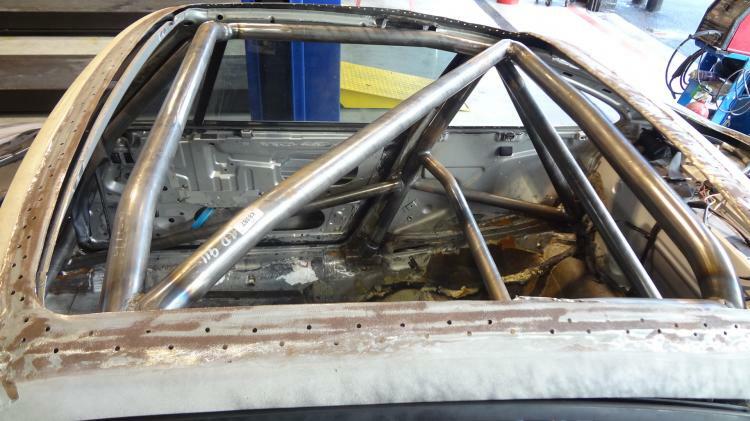 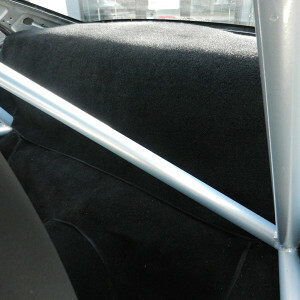 Once the bodywork was completed and the cage welded in place, the vehicle was sent to the paint booth to have the roll cage completely painted to match the exterior in Aston Martin Lightning Silver Metallic. 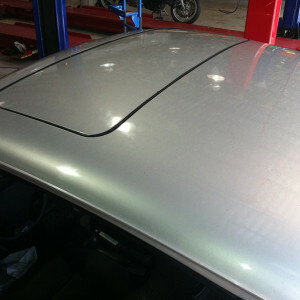 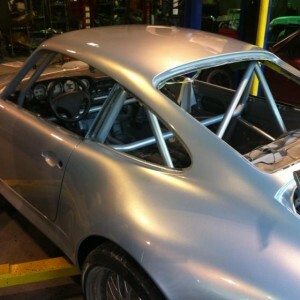 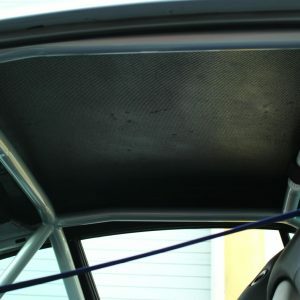 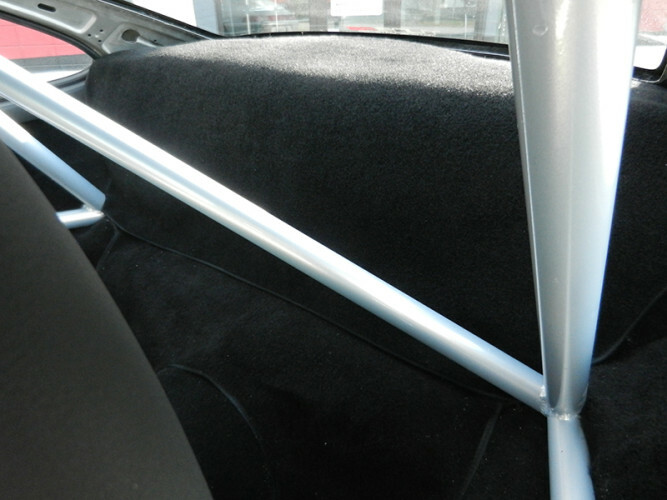 After the cage cured, a new carbon fiber roof panel was installed followed by minor bodywork to complete it. 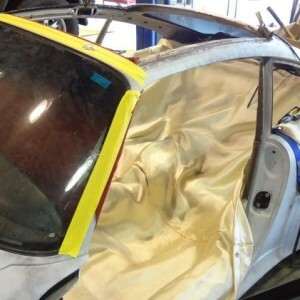 The carbon fiber was left naked on the interior but will be painted on the exterior. 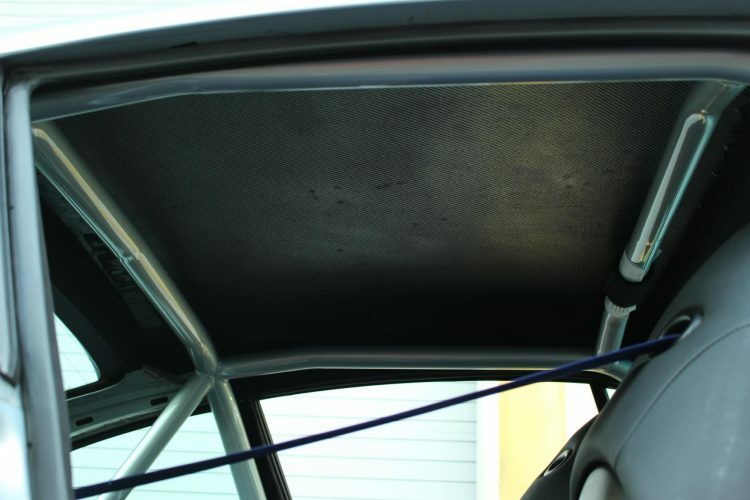 No more sunroof or heavy sunroof mechanism! 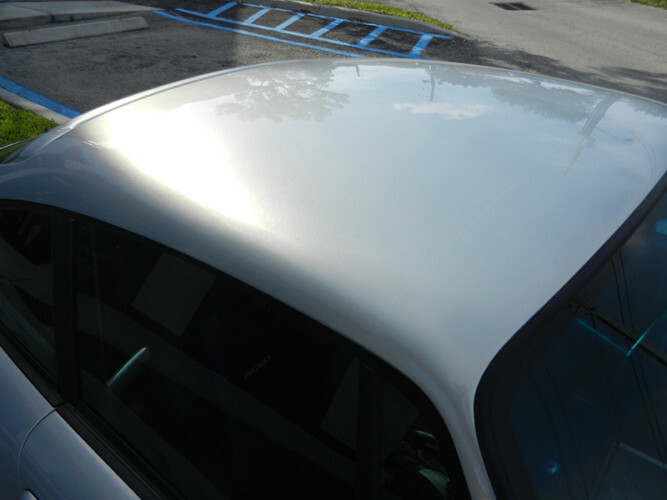 The color of choice for the C4S is lightning silver metallic from aston martin. 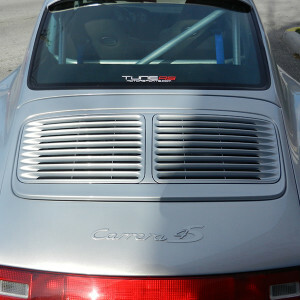 This is one of the most elegant silvers out there today; it truely is incredible to see in person. 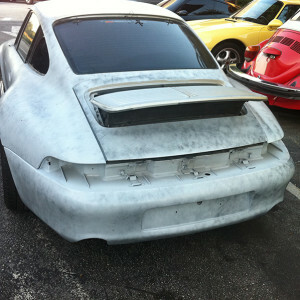 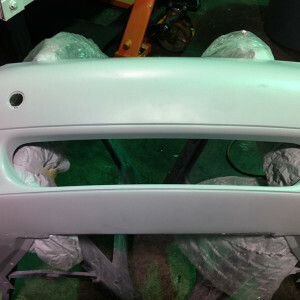 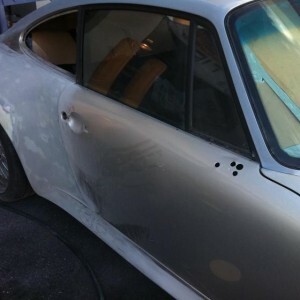 The vehicle was sent back to the booth to have a full coat of paint applied to its shell, and modified european bumpers. 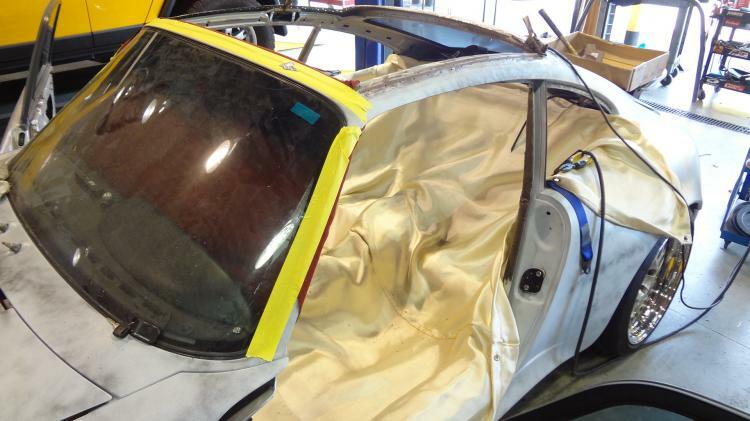 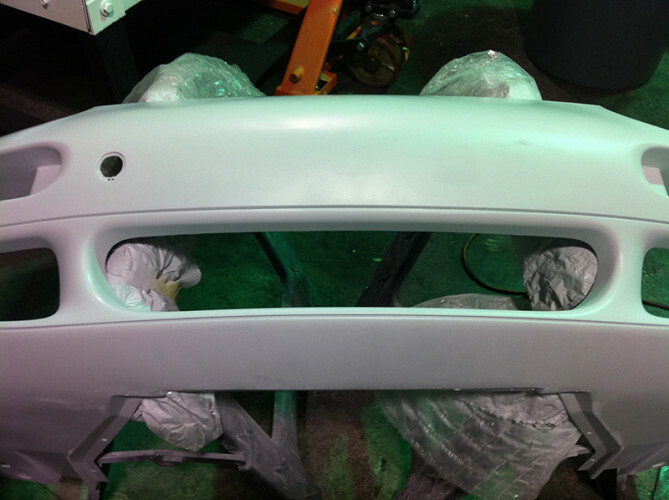 Once the paintwork was done, it was brought back to our facility for the remaining components to be assembled. 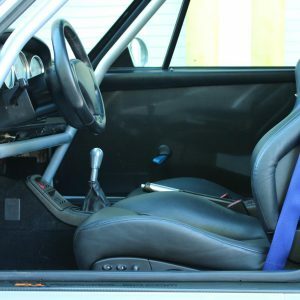 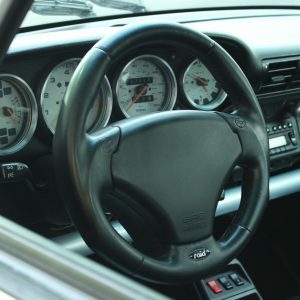 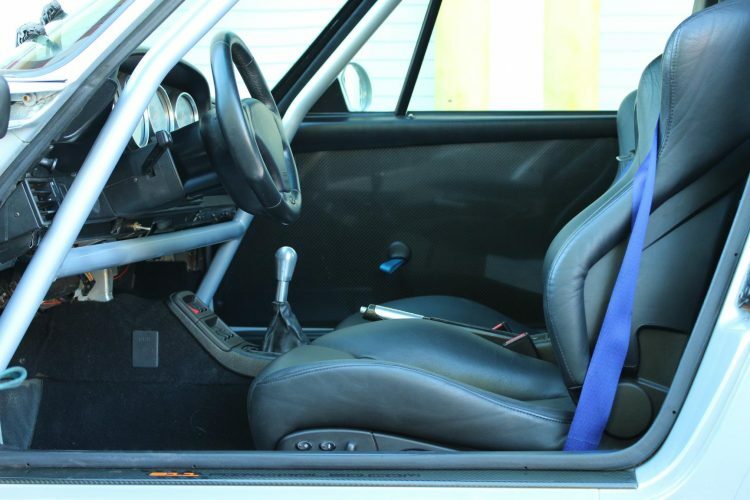 The interior received a fresh new lightweight RS carpet with aluminum floorboards, Recaro leather seats, sport steering wheel and some custom gauge faces. 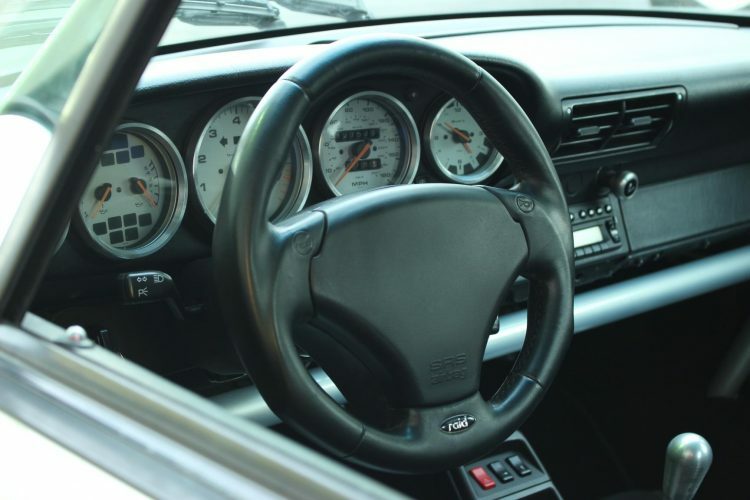 Nothing too fancy for the interior, trying to keep it as original 993 looking as possible. 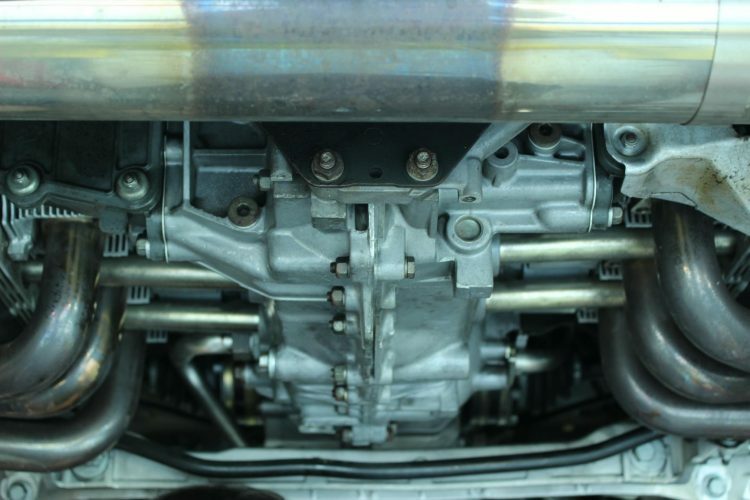 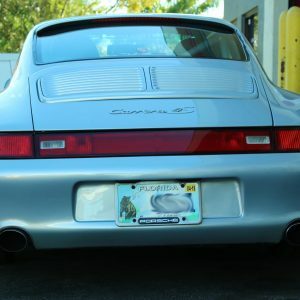 The C4S was then completely CryoDetail’d to its undercarriage and engine bay to remove all road grime, oil, debris that had been collected over the years. 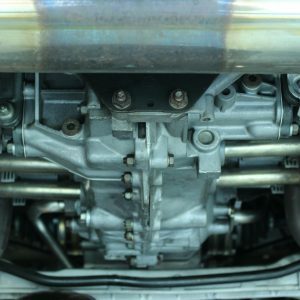 This also gives a good clean working environment for the technicians to install the Bilstein PSS9 suspension and eliminate the front final drive assembly. 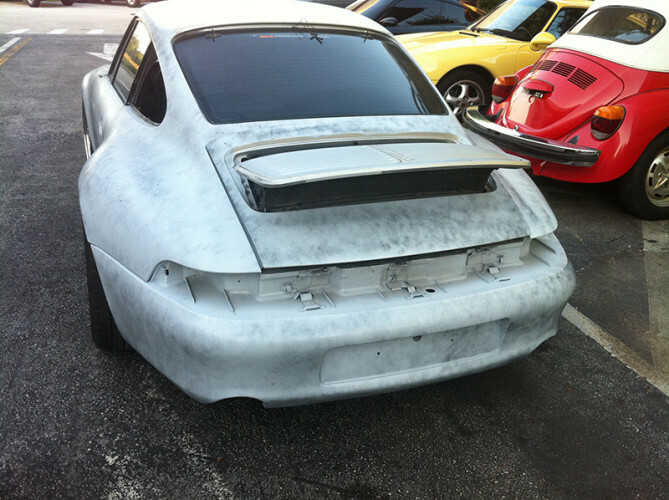 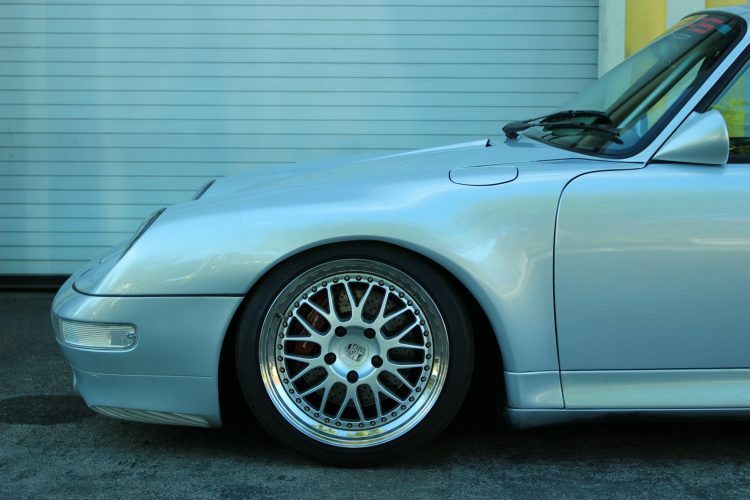 Yes, this C4S has been converted to a rear wheel drive wide body C2S. 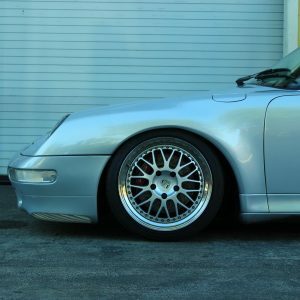 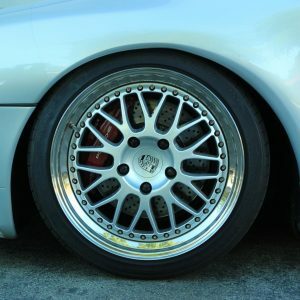 To finish everything, the 18″ sport wheels centers were painted to match the exterior of the vehicle and wrapped in new Michelin rubber. 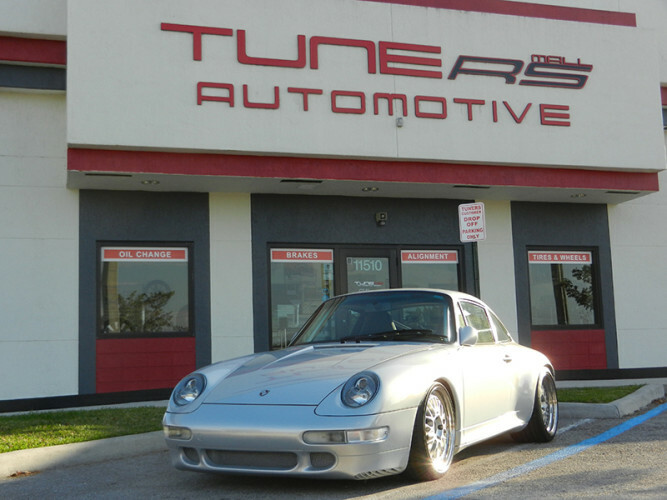 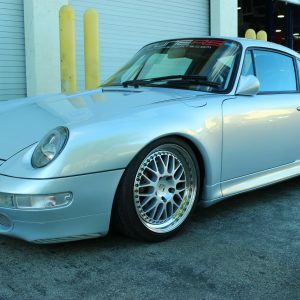 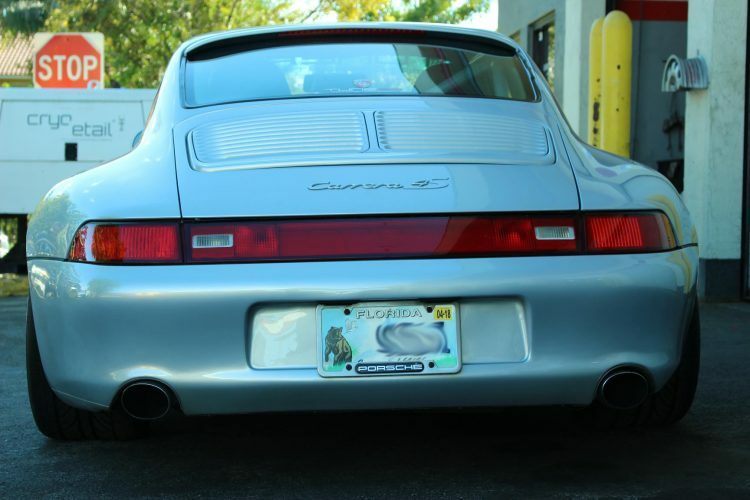 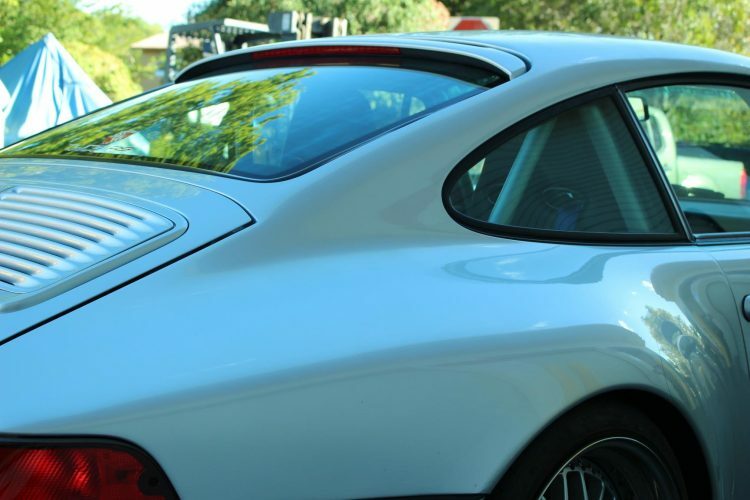 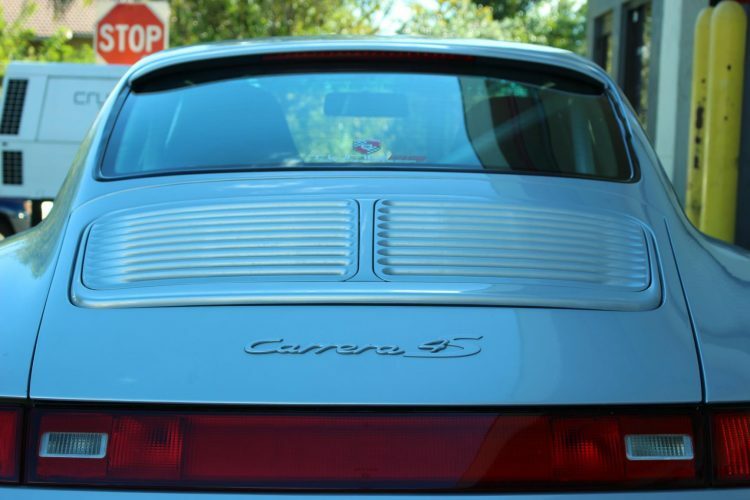 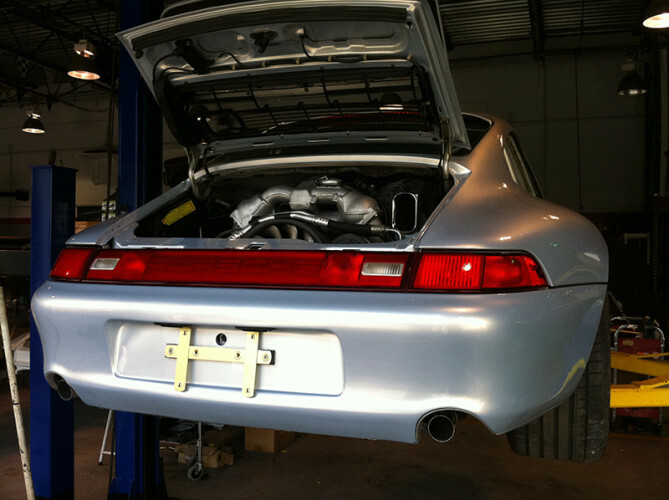 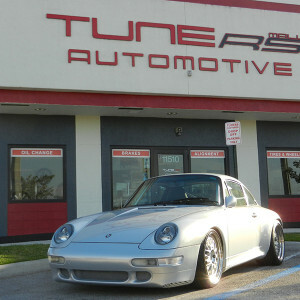 This Carrera 4S custom is ready to hit the road and track!